True Built Home has announced its approval for membership in the Residential Warranty Company, LLC (RWC) new home warranty program. RWC is one of the nation’s oldest and largest providers of written insured new home warranties, providing homeowners with a strong foundation of security in their home. We feel that our homeowners should expect the best in value and construction. That is why we have chosen to offer the RWC New Home Warranty providing peace of mind to our home buyers. 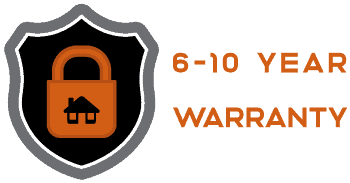 What Does Our New Home Warranty Mean To You? Not every home builder is able to attain membership with RWC. Membership into RWC’s Home Warranty program is based on the home builder’s financial stability, customer satisfaction and technical competence. As an approved RWC member, we also agree to comply with specific construction standards in order to have our homes warranted. This program helps to assure homeowners that their home is being built by a qualified, reputable homebuilder. This is our assurance to you that True Built Home is committed to standing behind our homes and providing you with peace of mind long after the sale. With True Built Home, you can build with confidence. Your home is warranted for 6 years, or 10 years in Oregon, as detailed in our Home Warranty book provided after the construction of your home. If you sell your new home within the warranty term, the balance of the warranty transfers automatically to the next buyer. That transferable home warranty is an excellent value if you ever decide to sell your home. When True Built Home chose RWC as our warranty provider, we made the decision to provide you with a written and insured commitment that your home will be free from specified defects. Your RWC warranty is independently written and administered and remains in place for 6 years, or 10 years in Oregon, regardless of what the future holds.